As an avid reader of literary fiction who was brought up on the genre and reads it for pleasure, I find it disturbing when literary novels are not given the respect that they deserve. I still cringe when I remember a mid-list writer-politician’s article criticizing R K Narayan’s books in The Hindu about two weeks after that venerable author had passed on. I was equally upset on seeing the modified book display in a British Library when romance novels by a certain author were placed right next to the novels of Muriel Spark. It was distasteful to see those pulp paperbacks sharing the same shelf with those perfect novels by Dame Spark. It was with the same feeling that I read some of the reviews on Karan Bajaj’s book ‘Johnny Gone Down’, in which the author has been compared for some obscure reason to a certain actress who is famous for her item numbers. I thought that the comparison was not justified, not only as it does not make sense to compare books with dances. It is just that both of Bajaj’s books are well-written literary novels that do not merit such an absurd comparison. I started Johnny Gone Down with the high expectations set by Bajaj’s debut novel Keep off the Grass, which was a fine coming of age book about a young man’s search for the meaning of life. In his second book, Bajaj continues to explore the same questions that have carried heroes on their respective journeys from perhaps the beginning of all literature. Pulling the readers into its pages from the very first chapter in which the unconventional one-armed protagonist goes to play a game of Russian Roulette, Johnny Gone Down has a much broader canvas and takes the reader through a series of diverse and fantastic locations, times and experiences along with its protagonist Nikhil aka Johnny who starts out as an MIT student all set to conquer the world and in a sequence of unexpected events, metamorphoses into a genocide survivor, a Buddhist monk, a drug lord’s accountant and a software tycoon among other avatars before he reaches the end of his gruesome journey. I read The Homecoming by Bernhard Schlink around the same time that I read Johnny Gone Down and was struck by how the journey of the protagonist in both novels bore a resemblance to the adventures of Ulysses. Johnny also reminds one of a number of classic heroes in literature, those who stand by the brink and observe with stoic detachment as life happens to them and around them – characters such as Evelyn Waugh’s Paul Pennyfeather, Murakami’s Toru Watanabe and Hari Kunzru’s unforgettable Impressionist, Pran Nath Razdan who goes through a similar set of transformations of the self in his quest for identity. The book is well written in strong, gripping prose and though the violence was too explicit in some places as to be disturbing, it flows smoothly taking the reader with it through the extraordinary lives of its hero as he is tossed from one world to the other, encountering ruthless soldiers, hardened mafia members, compassionate monks, clichéd gold-hearted thugs, beautiful women, wretched refugees and struggling entrepreneurs among others, building up monasteries, business empires and virtual universes, only to abandon them all and start afresh each time, until he reaches the end of his journey, both literally and symbolically as he realizes the interconnection between the patterns making the patchwork quilt of his life. I took a long time in finishing the book as I found some parts too violent and disturbing, and was unable to continue reading. 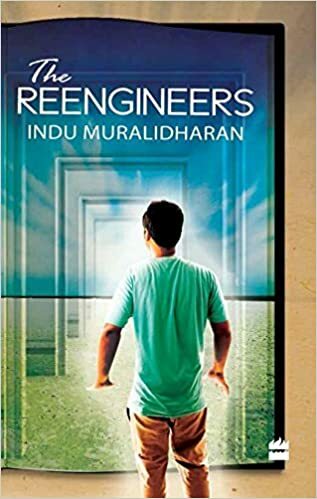 I enjoyed the humor that came through even in some of the darkest chapters and the philosophical observations of Nikhil in each of his avatars made the book all the more worth reading. I especially liked Nikhil’s discussions with his employer Philip on building a virtual universe on the internet. I did have a quibble about the characterization of the protagonist. Nikhil seems so detached from life itself most of the time that there seems to be a wall between him and the reader. One never knows whether it is altruism, heroism or merely apathy that prompts Nikhil to save his friend’s life, an action that marks the beginning of his blood curdling adventures. Hesse’s Siddhartha too, went through several stages and transformations in his life, but Siddhartha had an innocence and a vulnerability about him, that made him easy to relate to. And so did Samrat, the likeable hero of Keep off the Grass, to whom it was easy to relate to and understand. Nikhil on the other hand comes across as a stoic superhero – decent, selfless, contemplative, detached and at the same time empathetic to his fellow beings. Yet his real self remains an enigma throughout the book, coming through only in rare instances like his interactions with his wife, his longing for his son, and his final burst of triumph that Johnny had finally gone down for good. Still, this trait is understandable as most protagonists of the classic books in Johnny’s genre are likewise detached from their surroundings, and also to some extent from their readers. It is as though the authors had imagined them into being that way. It is also surprising that some reviewers have compared this book to the lowbrow pulp fiction being mass published today. All kinds of books have their own audiences and while perception of what makes good literature is relative, it remains that books like these can be definitely classified as literary fiction. These are well-written books addressing some of the most important questions that constitute the bulk of all literature. That they happen to be readable cannot imply that they can be called light reads, and it is distasteful to make comparisons between such good books and garish item numbers.